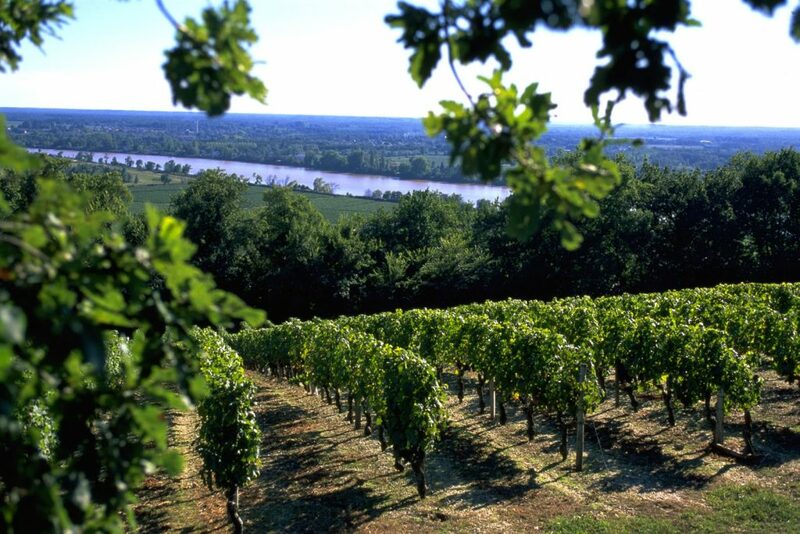 Often known as the area between two seas, but really the name refers to the fact that the two very important rivers, the Garonne and the Dordogne, that travel through Bordeaux and create the boundaries of the Entre-Deux-Mers, are effected by the tides of the Atlantic ocean. And as ‘marée’ is the French word for tide, the region is in fact ‘between two tides’. 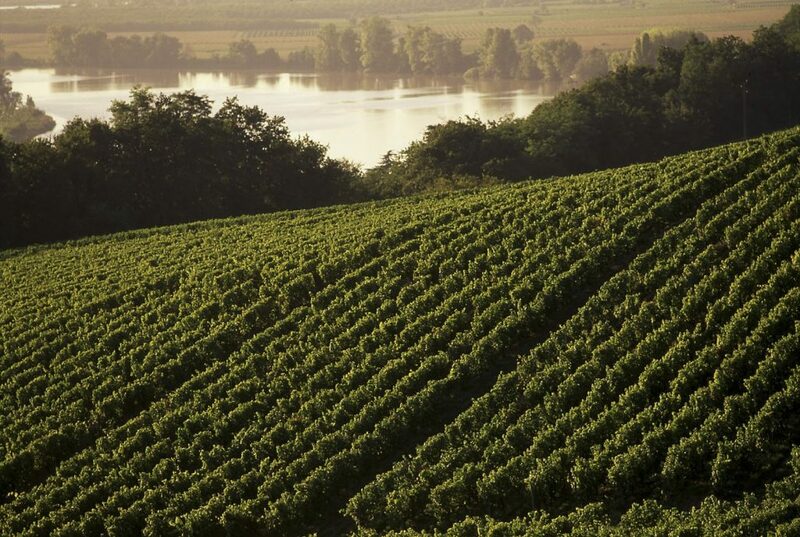 These rivers create diverse climates and soil types resulting in a range of wine styles. 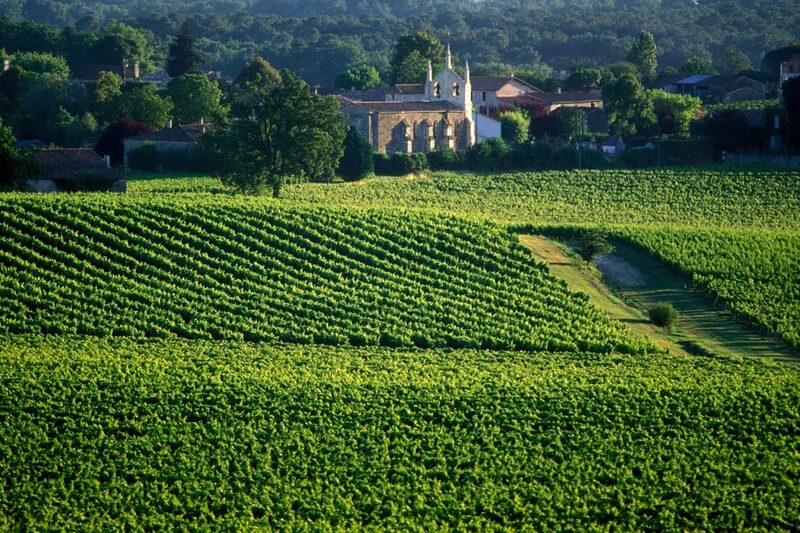 Many producers make both red and rosé wine in this region, but bottle under the generic Bordeaux AOC appellation, because only still, dry white wine can be bottled and labelled with the appellation of the Entre-Deux-Mers AOC. 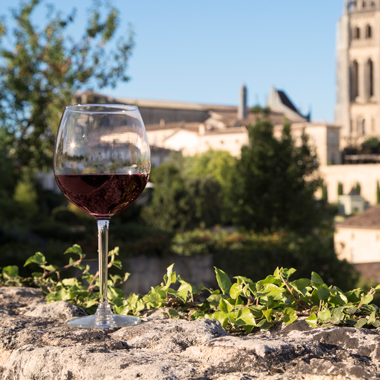 To produce wine under the Entre-Deux-Mers appellation, it must not only be made from white grapes but in fact from a blend of at least two white grape varieties. The art of producing great wines from this area is therefore the blending, showcasing the importance of harmonizing different grape parcels. The majority of the wine must be produced from just four varieties, Sauvignon Blanc, Sémillon, Sauvignon Gris and Muscadelle. Sauvignon Blanc and Sémillon make up the typical white Bordeaux blend. Each plays an important role, contributing to the success of the overall blend. Sauvignon Blanc adds fresh fruit flavours and crisp acidity, whilst Sémillon adds body and ageing potential. Sauvignon Gris and Muscadelle are included to ‘lift’ the wine and provide attractive floral notes. 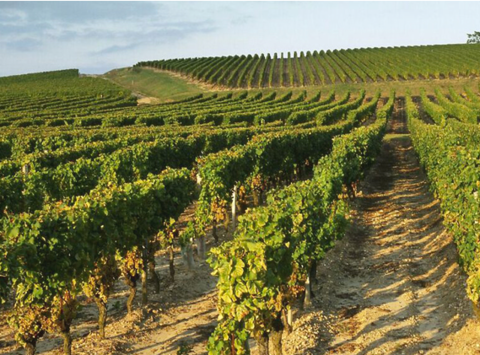 The wines of the Entre-Deux-Mers AOC are pale lemon in colour with crisp, fresh fruit flavours. The grape varieties are fermented separately often in inert vessels such as stainless steel. This brings out the fresh stone, citrus and green fruits including nectarine, peach, green apple and lemons. Some producers ferment or age their wines in oak barrels. This can be either new or old French oak barrels depending on the intended style. The majority of wines are made to be consumed young, highlighting the fresh, crisp fruit. Occasional examples, with higher proportions of Sémillon, can age for longer. The wines from the Entre-Deux-Mers AOC are easy to pair with a range of foods. A light, crisp fruitier wine is an excellent companion to shellfish dishes or fresh salads. A brilliant pairing with this style of white wine is Salad Nicoise. The acid in the wine will cut through the fatty tuna leaving your palate clean and the fresh leaves will balance with the crisp edge of the wine. It is important not to overpower the more delicate flavours that add to the complexity of the wines. White wines that have had a touch of oak are often rounder and fuller in the body. This means that they can pair brilliantly with creamy or buttery dishes where the wines’ high acidity can still cut through the heaviness and leave the palate refreshed. Chateau Vignol Blanc is produced from all four of the main grape varieties in the Entre-Deux-Mers, (Sauvignon Blanc, Sauvignon Gris, Sémillon and Muscadelle). It has the typical pale lemon colour with aromatic nectarine, peach and lemon aromas. There are lovely floral notes of white blossom which add an edge to the wine. Chateau Laures Another excellent affordable wine from Entre-Deux-Mers appellation is Chateau Laures available from Bottle Apostle. With the extra fruit concentration, this wine has persistent lime notes and pleasingly rounded texture.